I loveeeeeeee pancakes - but I don't like sticking with the same recipe time and time again because the possibilities are endless when it comes to these breakfast beauties! 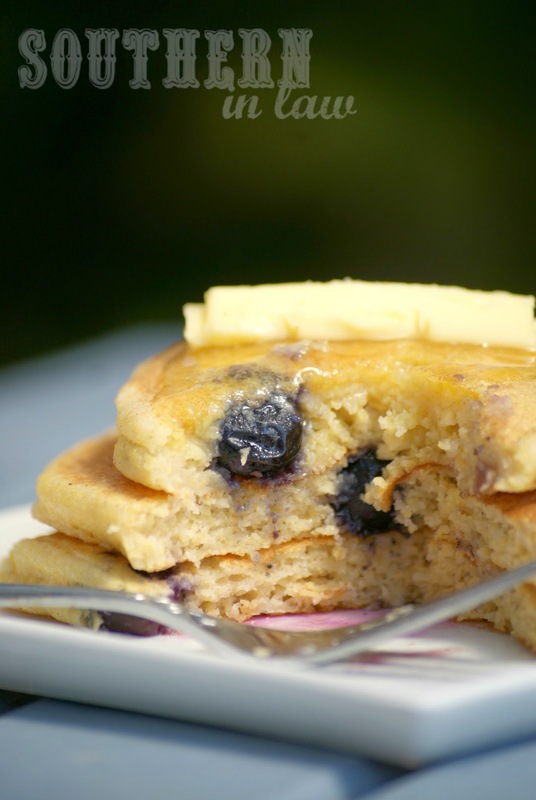 These Blueberry Cornbread Pancakes were created when two cravings collided. I really wanted sweet polenta for breakfast whilst Jesse wanted pancakes. Instead of making two separate breakfasts, I decided to combine the two and what I ended up creating were the fluffiest, most delicious blueberry pancakes ever! The only way they could have been better? If they had more blueberries - but I may or may not have made a trip to the shops just a few hours later so that we could enjoy them again with triple the blueberries the next day. 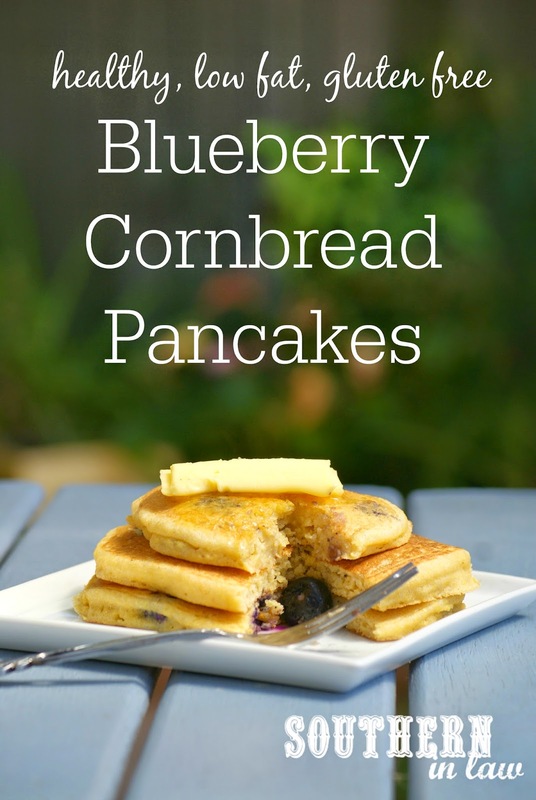 You can use fresh or frozen blueberries in this recipe so that you can make them year round! As you can see, they're thick and fluffy with big juicy bursts of blueberries. They have so much flavour that you only need simple toppings - even this peanut butter nutter decided to stick with just butter on top - whilst Jesse opted for the traditional butter and maple syrup. They are worth eveeeeeeeery single second of cooking time (though they'll be ready before you know it!) and you'll be making them again and again. In a medium mixing bowl, mix together all of your ingredients until combined. 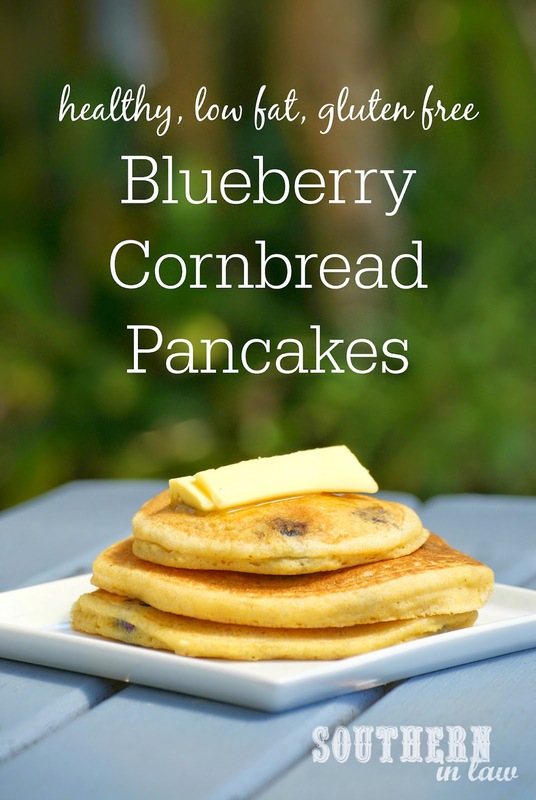 If using frozen blueberries, fold these in last so they don't make your batter purple (though, who would complain about awesome purple pancakes?!). Heat a light greased medium frying pan/crepe pan over a medium-low heat. Pour about 1/4 cup of batter onto your pan at a time, cooking until bubbles begin to form and pop on the surface and the underside is golden (about 2-3 mins) and flipping, cooking for another 2 minutes or until the other side is golden. Repeat until all of your pancakes are cooked, re-greasing between pancakes if needed. Serve warm, topped with butter and/or maple syrup or whatever your heart desires. *We used 1/2 cup (60g) buckwheat flour + 1/4 cup (30g) gluten free plain flour for this recipe, however, you can also use a gluten free pancake mix if you like! But tell me, what's your favourite kind of pancakes? And what do you usually crave for breakfast?